Posted on 09/21/2017 by Mickey McCarter	in Live Review and tagged beer festival, Craft Beer, funk, go-go, music festival, Neighborhood Restaurant Group, psychedelic, Rare Essence, ska, Snallygaster, Snallygaster 2017, Spirit Animal, The Pietasters, The Yards, Yards Park. 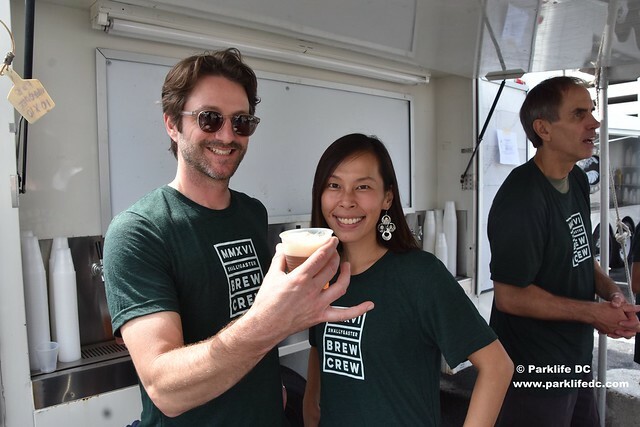 Snallygaster Brew Crew enjoy a beer at Snallygaster 2016. Hey folks, don’t look now but Snallygaster 2017, the DC area’s most exciting beer festival, is this Saturday, Sept. 23, at The Yards (1300 1st St. SE, DC). Tickets are on sale now for sampling 400 craft beers from around the country as well as entertainment from three fantastic bands. Posted on 08/03/2017 by Mickey McCarter	in Live Review and tagged beer festival, Craft Beer, Greg Engert, Neighborhood Restaurant Group, Snallygaster, Snallygaster 2017, Yards Park. Snallygaster returns to Yards Park in DC on Saturday, Sept. 23. 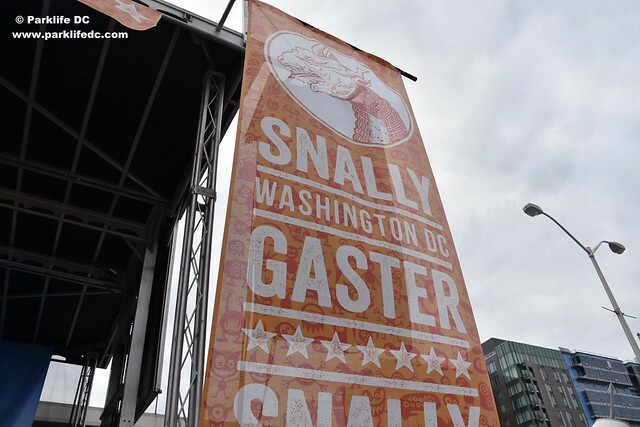 Snallygaster is the most robust, diverse, and carefully curated beer festival in DC (and I daresay likely the entire eastern seaboard), and it is returning for its sixth edition at Yards Park (1300 First St. SE, DC) on Saturday, Sept. 23. 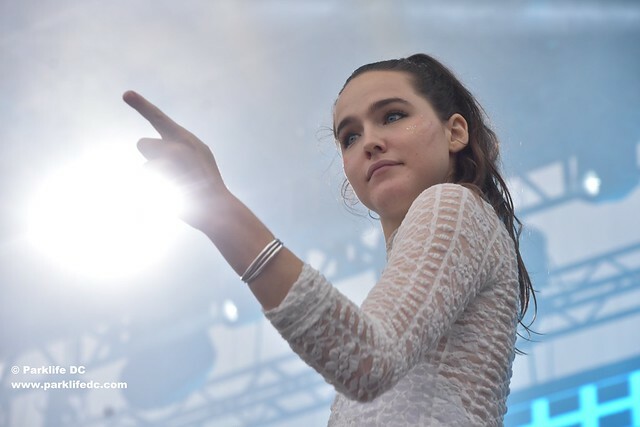 Posted on 10/11/2016 by Mickey McCarter	in Live Review and tagged All Things Go, All Things Go Fall Classic, Bishop Briggs, Durham, Fall Classic, folk pop, house, Los Angeles, New York, Sofi Tukker, Sylvan Esso, trip hop, Yards Park. Last week, I ruminated on how things seemed to be going swimmingly for the All Things Go Fall Classic, held in DC on Saturday: Hurricane Matthew wasn’t going to approach DC, Passion Pit had not canceled, top act Empire of the Sun released exciting new music. Then, Saturday came with consistent and gloomy rain despite no hurricane, turning all of Yards Park into a giant mudpit. Everything got splashed with mud, and the Fall Classic was turning into a Tough Mudder for the dancehall set, whether you liked it or not. Posted on 10/05/2016 by Mickey McCarter	in Around Town, Live Review and tagged Ace Cosgrove, All Things Go, All Things Go Fall Classic, Bishop Briggs, Christine and the Queens, Empire of the Sun, Fall Classic, music festival, neo-psychedelia, Passion Pit, POP ETC, Sofi Tukker, Sylvan Esso, Yards Park. Things are shaping up quite nicely for the All Things Go Fall Classic, the one-day concert festival from All Things Go, scheduled for Yards Park (131 M St. SE, DC) this Saturday! First, Hurricane Matthew will turn off and miss DC completely, according to the latest weather reports today. It had threatened to potentially dump a lot of rain on us this weekend. Prior to that good news, All Things Go announced it sold out of its VIP tickets! But you can still buy general admission tickets for the concert this weekend, an extraordinary value still considering headliners Empire of the Sun, Passion Pit, Sylvan Esso, and Christine and the Queens are draws all on their own. Don’t miss out on this great line-up and an opportunity to see these acts all in one place! The $75 festival price may jump to $99 the day of the show, so don’t hesitate to buy now. Tickets are available online. Posted on 09/21/2016 by Mickey McCarter	in Live Review and tagged 3 Stars Brewing Co., Beer, beer festival, Blue Mountain Brewing Co., Dave Coleman, Greg Engert, Neighborhood Restaurant Group, noise pop, Snallygaster, Snallygaster 2016, Speedy Ortiz, Yards Park. 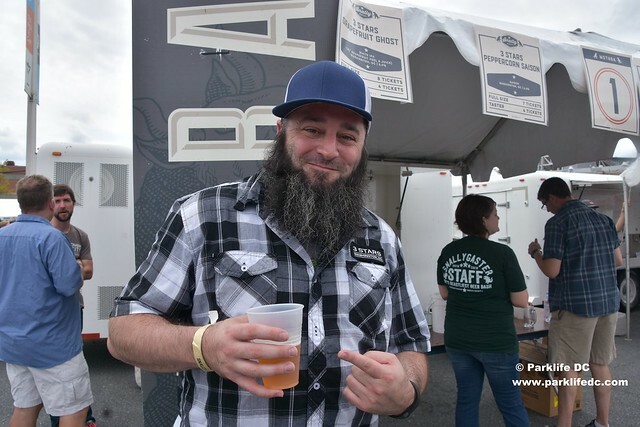 Dave Coleman of 3 Stars Brewing Co. enjoys a beer in front of his tent in the Mothra section of Snallygaster 2016. For its fifth year, Snallygaster rocked the beer drinkers of DC for its 2016 edition, held in its scenic recurring location in Yards Park. Early in the day, my fellow blogger Jeremy headed straight for the excellent local brewery 3 Stars Brewing Co. (6400 Chillum Pl. NW, DC). There, he drank up a collaboration beer from 3 Stars and Charm City Meadworks, the Two Headed Unicorn, a barrel-aged sour blond ale, clocking in at ABV 6.5%, as he said he would. Posted on 09/14/2016 by Jeremy Bailey	in Around Town and tagged dogs, miniature dachshund, On Tap Magazine, Wiener 500, wiener dogs, Yards Park. 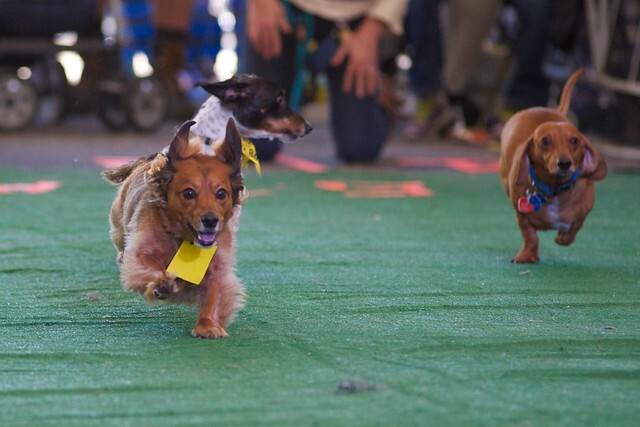 On Tap brings us the 5th annual wiener dog race (Wiener 500) down at Yards Park on September 24th! Enter your long, little dog in the race or just come down to watch all the action. The event is free to attend. It’s $25 to enter your pup in the race and the food and drink from local vendors and food trucks will cost. Enter your wiener dog here. Last year almost 100 dogs raced. This year $500 in cash and prizes can be had for the fastest wieners! All race proceeds go to the Washington Humane Society. Add in the Oktoberfest celebration, with contests (dress up you dog – even if it’s not a wiener dog) and live music (Lloyd Dobler Effect and DJ Chris Styles), and your Saturday dance card is full. 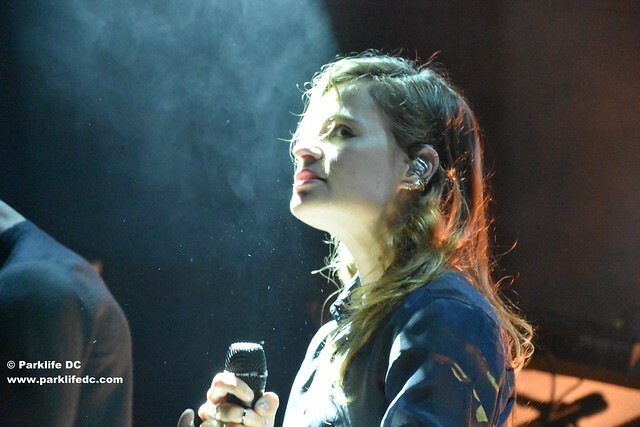 Posted on 08/16/2016 by Mickey McCarter	in Live Review and tagged Ace Cosgrove, All Things Go, All Things Go Fall Classic 2016, Bishop Briggs, Christine and the Queens, Empire of the Sun, Fall Classic, music festival, Passion Pit, POP ETC, Sofi Tukker, Sylvan Esso, Yards Park. All Things Go returns with its Fall Classic concert event on Saturday, Oct. 8, hosting headliners Empire of the Sun and Passion Pit in a new location at Yards Park at The Capitol Riverfront (131 M St. SE, DC). Other acts joining the All Things Go Fall Classic daylong festival lineup include Sylvan Esso, Christine and the Queens, Bishop Briggs, POP ETC, Sofi Tukker, and Ace Cosgrove. Here at Parklife DC, we’re big admirers of all of the bands, particularly Empire of the Sun and Christine and the Queens. 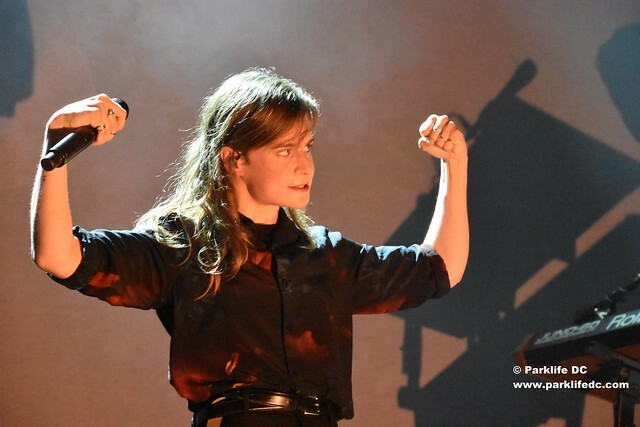 We photographed and reviewed Christine and the Queens at the 9:30 Club at a sold-out show on May 31! This is a great opportunity to see what you missed. The third annual All Things Go Fall Classic also will feature meals and snacks from some of DC’s most popular culinary vendors! If you’re feeling flush, you can buy a VIP ticket to the festival, which will provide you with perks like access to a VIP lounge, VIP cash bar and bathrooms, cell phone charging stations, designated shade areas, and more. By moving to Yards Park, the Fall Classic finds itself in a convenient and popular location on the block between M St., First St., N St., and New Jersey Ave. NE, only a few steps from the Navy Yard Metro Station. Last year’s All Things Go Fall Classic sold out, so don’t let this cool concert bill pass you by. Tickets are available online! Although early bird tickets are sold out, regular admission and VIP admission are available.